This week I chose to take the sketch of Sketch Saturday to take part in the challenge of Small World of Inchies&Twinchies which was to create a card containing an inchie (or a twinchie). I creted 4 inchies and set them onto my card as you can see. hi, I like your card. oh lots of gorgeous pinks !! Love it, and this image is so beautiful. Fab card, love those inchies! Fab card, the inchies look great. Great images and love the pink. Very pretty card. I love the pink on pink! I love this one Sunny!!! 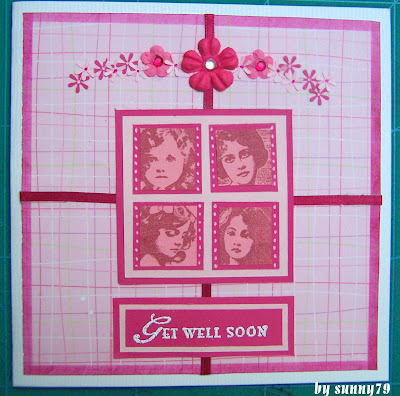 Great stamps you used!! !